It's been a while since I last did this - so I thought I'd rummage through the playlist on my phone and share with you some of the songs I'm listening to (a lot!) lately. 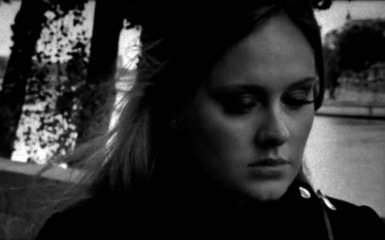 I featured one of Adele's songs a little while ago, Rolling in the Deep. Loved the tempo and the lyrics were powerful, and quite different from usual Adele fare that is more slow/blues-y and not really my cup of tea. Now this one I found completely by chance - stumbled upon it on the music channel on TV. I'd forgotten to switch the channel to the cartoon ones and when I started the TV, this sound came up a few seconds before the images loaded. And, this one - no surprise this time, lol, for those who know me - is not British but he's French, and probably the most popular DJ in the world! I love me some good David Guetta vibes, and did we Guetta fans have an awesome year, what with all the singles and musical collaborations he'd slotted. So there you have some of the beats rocking my world lately. What ye listening to right now? And the song makes me think so much about that WIP I told you about, with the undercover cop...girl - I won't be able to stop thinking about this. I have already worn my Adele CD down, lol. This is such a powerful song, and her amazing voice brings all that emotion to the surface.